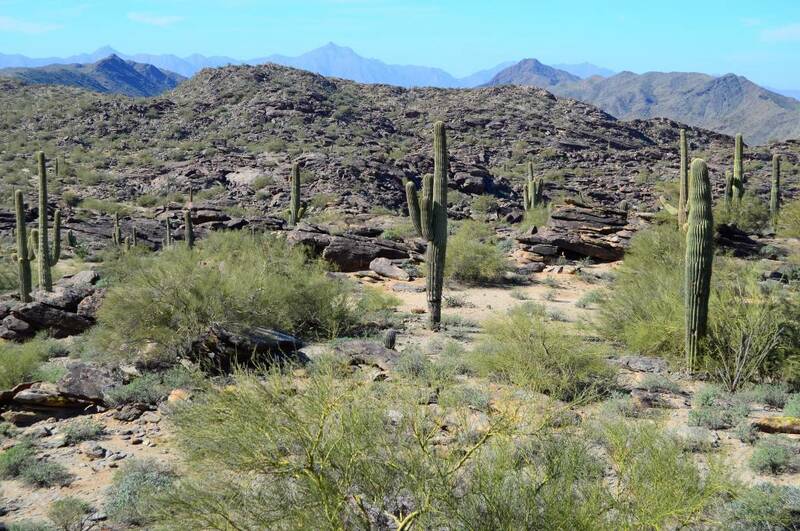 At more than 16,000 acres South Mountain Park and Preserve is America's largest municipal park and is actually collection of three mountain ranges, the Ma Ha Tauk, Gila and Guadalupe. With more than 51 miles of primary trails for hiking, mountain bike riding and horseback riding the park is suitable for all ability levels. From the park's main entrance, visitors may drive up the Summit Road 5.5 miles to Dobbins Lookout and enjoy grand views of the valley or continue on to the Gila Lookout for a view of the Gila River Valley. A special note: The scenic roads are shared by bikers and hikers alike and there are numerous steep sections and blind curves. Please drive with caution and obey all traffic signs. Trail head hours are from 5 a.m. - 7 p.m.